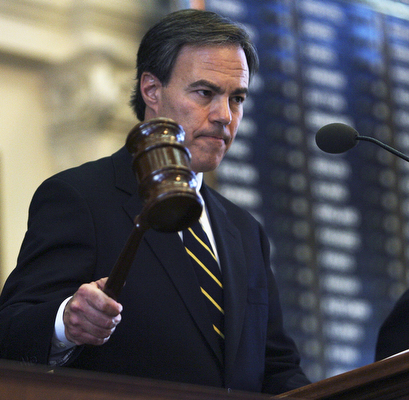 Agendawise has sued Texas House Speaker Joe Straus and Texas Senate LT Governor David Dewhurst for denying them equal first amendment press rights. Specifically, the Texas Tribune was allowed server space to broadcast the live feed from the floor of the Texas Legislature’s Senate and House proceedings. AgendaWise is an online conservative news organization that has asked for, and been denied, the ability to also broadcast the live feed for the Texas Legislature proceedings. I think I know why moderate RINO Republican Joe Straus does not like the thought of allowing this conservative group having equal access to the live feed. This particular conservative group has not been too kind in the articles they have written about Straus. According to Courthouse News Service, AgendaWise claims that state Sen. Eltife and Rep. Geren rejected its request for space in the server closet at the Texas Capitol. It claims the defendants - all Republicans - violate the First Amendment by denying it access, and that they did so because AgendaWise reporters have "frequently criticized political stances held by defendants." Geren "has expressed his dissatisfaction with the reporting of AgendaWise online, accusing AgendaWise Executive Director Daniel Greer of telling lies and criticizing former AgendaWise board member Michael Quinn Sullivan," the complaint states. 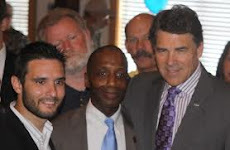 Michael Quinn Sullivan is also the head of Empower Texans and Texans for Fiscal Responsibility. Sullivan has hammered Joe Straus in recent years for his fiscal irresponsibility and for raising money, via guys like Rep. Charlie Geren, to go towards defeating conservatives in the Texas House of Representatives. Agendawise wants the live feed in time to be able to broadcast the Texas House impeachment hearings that Joe Straus has been pushing against a University of Texas Regent Wallace Hall. This regent was investigating financial issues and kickbacks within the University of Texas. Straus is trying to stop this regent from uncovering the truth by calling for an investigation. Apparently Straus thinks it is an impeachable offense for the regent to, well, do his job and make sure the University is being run legally and ethically.